Are you sure you want to subscribe to updates for jjPlus WMU6207 4-pin USB Wifi + Bluetooth card (PCB antenna)? 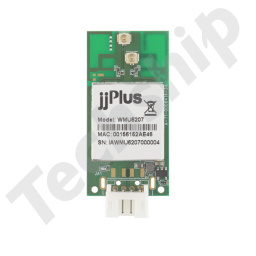 jjPlus WMU6207 is a dual band Wifi + Bluetooth 4-pin wafer connector data card that includes a printed PCB antenna. USB2 is used as data interface for both Wifi and Bluetooth and it supports the wifi standards 802.11ac/a/b/g/n and MU-MIMO antenna technique plus Bluetooth versions up to 4.2.
jjPlus WMU6207 uses the Realtek RTL8822BU chipset.